There are regularly articles floating around the internet and social media, telling the world what the cost of being a competitive figure skater really is. Unfortunately, you or your loved one love a sport that requires a very specialised field of play. If you loved football, you could kick that ball almost anywhere. But you need a large area of frozen water and ice skates – its going to come with a price tag. To be fair the prices quoted for ice costs and coaching by the hour in the big splash articles are mostly in the right ball park, however there are a few inaccuracies that exaggerate the financial plight to be expected. These are brought about by the researchers using top end price quotes as examples because they make great attention grabbing headings. We’ll deal with those first, but it becomes the day to day training costs that make the biggest difference in the long run and we’ll get to those too. Couture costume makers such as Lisa McKinnon, create bespoke wearable works of art that grace the ice at the Winter Olympics and charge accordingly. There are many well made outfits available at various online outlets (some pret-a-porter, some bespoke) for a fraction of the price. A simple factory made dress can retail for around £55-£80 (Child size to Adult). A bottle of Gem-tac stone glue, £7-9. Crystals, we recommend Czech or Austrian for good sparkle, avoid cheap plastic replicas as you’ll be disappointed with lack of shine. Buying a big pack of 1440 AB crystals (size 16) are a good investment for Newbies (around £59), but there are so many colours and finishes to choose from to match or contrast your outfit. Brits can try online store Blue Streak Crystals. They offer all the sizes and colours of high quality Swarovski crystals in small quantities allowing variety of sizes for a sophisticated finish. Learning to DIY can be great fun and a real bonding experience for friends and family members involved (as well as providing big savings). Patterns for Ice Skating attire available here, here and here. Food for thought, a competition skating costume usually won’t be worn very often and can be sold pre-loved for a reasonable return if its been well cared for (care tips here, and here). Avoid the temptation of hanging on to old costumes as keepsakes, styles change and you’ll get your best return while your outfit is on trend. It’s possible to get a modest estimate of a third to 50% of the cost back and if your design really catches someone’s eye it could be more. Quotes for music edits used in exposé articles are high, especially when using quotes for Elite Ice Dancers (due to the special requirements of rhythms and arrangements that may be significantly different from an original version of a piece of music), and the fact that top level skaters of all disciplines have longer routines often requiring more edits. If you are still closer to grassroots that reaching the stars, your coach should be able to direct you to someone who can edit your music for a reasonable price. Your coach may even be able to do it for you for a set fee. If you are struggling to find someone locally, you could try The Skating Music Guy, who gives transparent set prices on his website. If you have a little computer savvy, like listening to music and can count to 8, you could learn to do it yourself. There are some free music editing programmes available, but if you want consistent service investing a little in your software can be a wise move. We like Wavelab Elements. Competitions costs include entry fees, travel costs, coach fees and more. Consider travel pooling with other skaters who may be at the same event. There are advantageous rates to be had for group travel on public transport and some flights and transfers, carpooling is kind to the environment and you can split the fuel bill and any tolls. 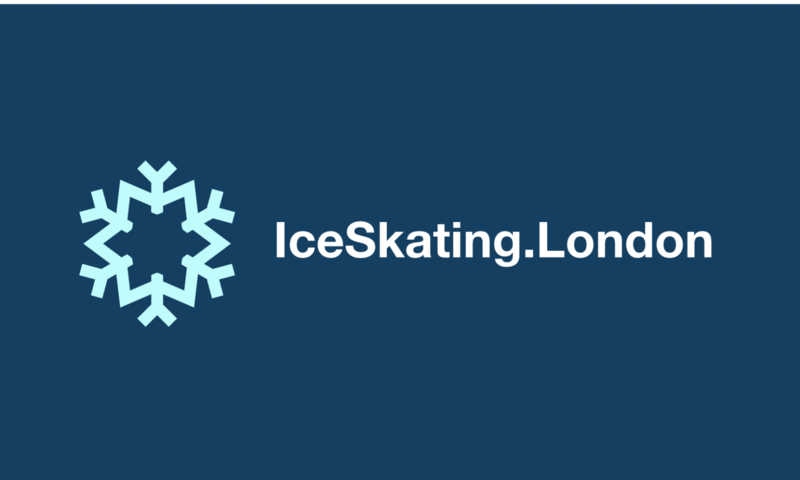 If you share an Ice Skating Coach with someone else at the event, you could split the costs. If there are a few of you from the same rink going to a competition, but you don’t usually have the same coach you could have a “care-taker” arrangement so multiple coaches aren’t needed to travel. If you like the idea, check with your coach(es), as not all of them would be cool with this arrangement. Borrow a coach who will be at the event already. Your coach may know someone who will be there and able to assist you if your coach can’t make it. Or, learn to warm up for and complete competitions without a coach; this suggestion is more for slightly seasoned/confident competitors. Occasionally a situation may occur where you may need to have this skill. There’s never an ideal time to learn, but it’s best to do it before your Olympic Debut. Plan! Use a training plan and a training diary every on ice session. By having a set of tasks to complete for each session, drifting out of focus will be minimised. Pool together for off ice activities with skaters of a similar age and physical strength level. Cooperative training groups can encourage each other to achieve more in a positive learning environment. A training group hiring a personal trainer or ballet/dance/gymnastics teacher can split the cost of some very valuable training. Keep the group small to retain quality. Your personal trainer can keep your posture and form in better shape if they can focus on no more than 4-6 of you. Make an agreement to arrange it in monthly “Terms”, paid in advance with no rain-checks, then it will encourage all of you to prioritise training and be dedicated. The most budget savvy approach to learning Ballet and other dance forms is to join regular classes rather than hire a teacher to come to the rink. The sooner a child starts ballet, the better. I am an advocate of learning dance forms like Ballet alongside skating and am always baffled when people completely give up ballet once they start ice skating, big mistake! Continuing with a weekly class or two can be a huge advantage within a year or 2 as the posture and spatial awareness training of Barre work and Centre work as well as the mime and expression of routines and occasional performances with a ballet school keeps presentation refined, graceful and with a superior quality. Leave us a comment, we’ll be glad to hear from you and answer any questions!